August tends to mark the waning of housing activity ahead of the school year. Not all buyers and sellers have children, but there are enough parents that do not want to uproot their children during the school year to historically create a natural market cool down before any actual temperature change. However, in the DFW area competition is expected to remain fierce for available listings. Savvy sellers and buyers know that deals can be made well into the school months, as household formations take on many shapes and sizes. 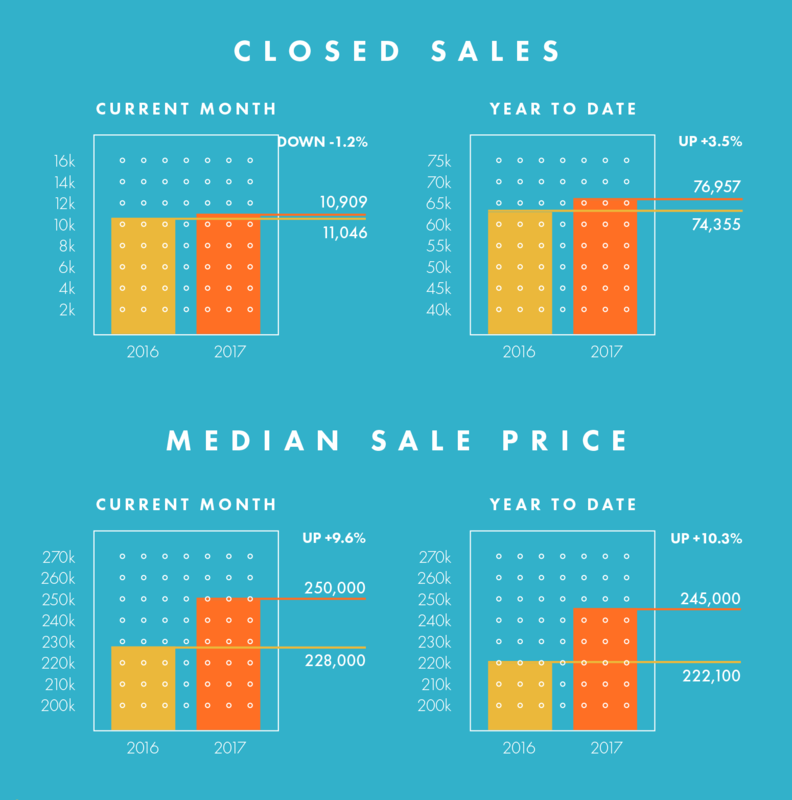 According to the report recently released by the North Texas Real Estate Information Systems, new listings were up in the North Texas region 7.4 percent to 13,612. Pending sales decreased 9.1 percent to 9,083. While the market is still very competitive, some good news - inventory grew 6.0 percent to 27,898 units! Prices moved higher as median sales price was up 9.6 percent to $250,000. While prices are rising higher, that is still a very reasonable median price. Of course, in the more desirable areas and closer to the city center, that number will be much higher. Days on market increased 2.7 percent to 38, which is a sign that inventory levels are rising. Months supply of inventory was up 3.4 percent to 3.0 months., indicating that supply increased relative to demand. The Texas A&M Real Estate Center still cites 6.5 months as a balanced market, but so we are still far from balance. However, we're better off than we were this time last year in terms of inventory. The prevailing trends lasted through summer. This was expected since there have not been any major changes in the economy that would affect housing. Factors such as wage growth, unemployment, and mortgage rates have all been stable. Every locality has its unique challenges, but the whole of residential real estate is in good shape. Recent manufacturing data is showing demand for housing construction materials and supplies, which may help lift the ongoing low inventory situation in 2018.